The interchangeable abrasive discs rotate at high speeds to remove rust, sharpen blades, make cut-offs, ease sharp edges, and strip paint. Handheld cordless angle grinders provide on-the-go and spot work or when a power source isn’t available. 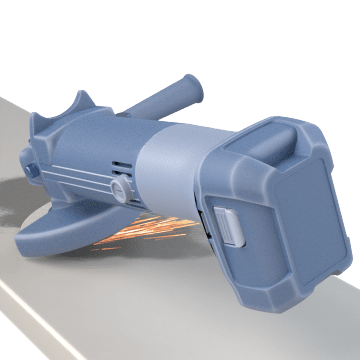 Commonly used in auto body, tuckpointing, wall chasing, and welding applications, angle grinders are typically used on metal surfaces but can be used with wood, stone, and other materials. 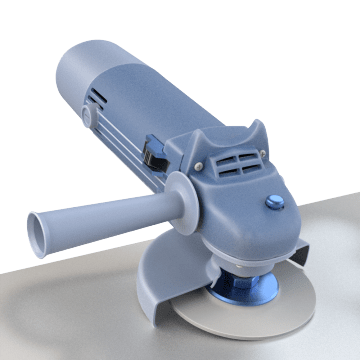 A good choice for most everyday grinding jobs, these handheld angle grinders accept abrasive wheels for sharpening blades, easing sharp edges, removing rust, and stripping paint. They come with a grinding guard to help protect the user from debris if the grinding wheel is damaged or shatters during use. Cut through rebar, threaded rod, and other metal workpieces using these handheld angle grinders, also known as cut-off tools. 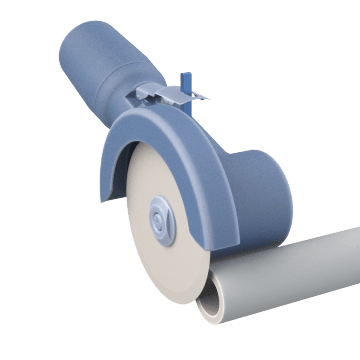 They use an abrasive grinding wheel to perform the cut and include a grinding guard to help protect the user from debris if the grinding wheel is damaged or shatters during use.